Excellence in Connectivity Solutions. Whether in the air, on land or at sea - quality in modern defence technology solutions permits no compromise. 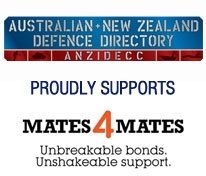 Working with Defence OEM's locally adding Australian Industry content. Thanks to many years of experience and technological expertise, HUBER+SUHNER offers solutions for cables, connectors, antennas, and connection-ready cable systems that not only comply with the international standards such as MIL, IEC, Lloyds Register and many others, but also satisfy our own high standards of excellence. As a leading international manufacturer, HUBER+SUHNER combines competence in the three areas of Fiber Optics, Low Frequency and Radio Frequency under one roof. This results in innovative solutions and components for defence technology with absolute reliability and a long service life.